ASP Trustee Carmel Almendrala receives the Ulirang Ina 2010, Special Awards Category, under Special Citation at Century Park Hotel, Manila. The annual Ulirang Ina Awards is an initiative of the National Mother's Day and Father's Day Foundation of the Philippines, Inc. which selects outstanding model Filipino Fathers and Mothers. 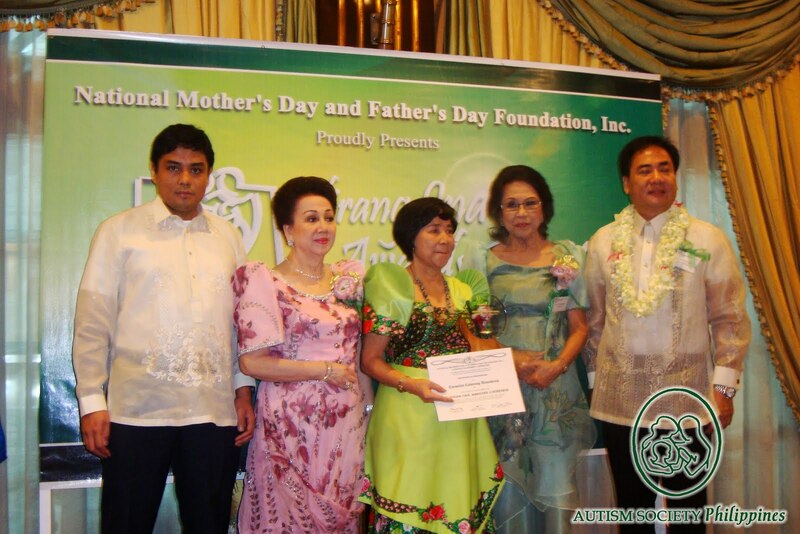 But Tita Carmel was hesitant to attend the awarding ceremony. 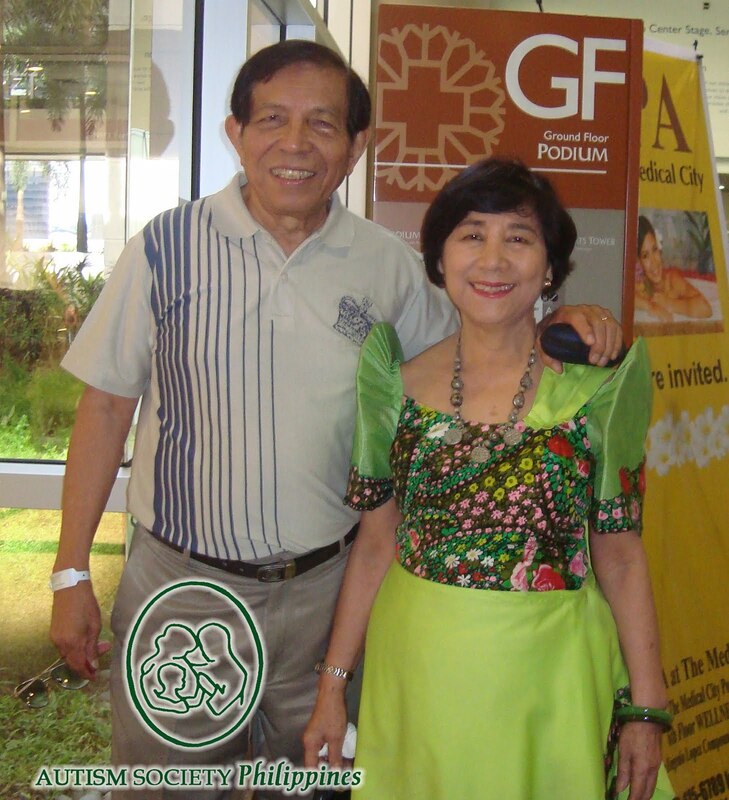 Her husband, Tito Fred, was scheduled for a corneal transplant, one day before the event. Tita Carmel decided to cancel and told Tito Fred about her decision. Being a prayerful wife, she turned to God for help. Her prayers for a successful surgery were answered. Tito Fred, who wanted so much to accompany his wife to the ceremony, was however not given a doctor's clearance. On May 9, Tita Carmel was instead accompanied by her son, Michael. The occasion was deemed fitting for it fell on Mother's day. Her unending love, care and support to her children, especially to Mike, is what she believed brought her to this recognition. Mike is a loyal employee of Philippine Information Agency (PIA) since 1999. As a contractual employee, he worked his way to become a casual on 2002. In 2005, he passed the accreditation exam through TESDA and was a nominee for Apolinario Mabini Award, the first person with autism to win the eligibility for Civil Service. His permanent civil service position was accorded on November 2009 and assures him security of tenure. Mike is also a special Olympian, gold medalist power lifter. Saludo kami! Congratulations Tita Carmel! ASP salutes autism mothers who dedicate their lives for a brighter tomorrow. be an Angel for Autism. Do you have story to tell? This is your chance to inspire others dealing with autism. Email us at autismphil@pldtdsl.net or call us at 926 6941 or 929 8447.